Summer got the surprise of a lifetime yesterday when two of her closest friends walked into her hospital room at MD Anderson in Houston. 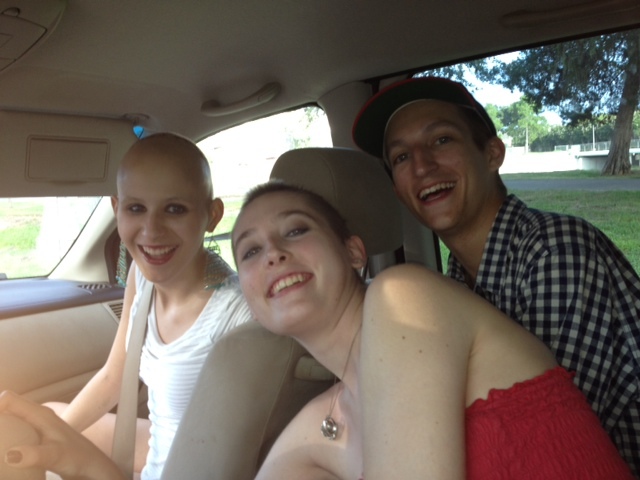 The pair flew all the way from Atlanta to be with Summer as she faced her toughest cancer challenge yet – brain surgery. These are not just any friends. They are Summer’s cancer friends. Both Lacey and Tyler have battled cancer along side Summer this year. Together, they have coached each other through debilitating treatments, visited each other in the hospital, and encouraged each other in a way no else could. 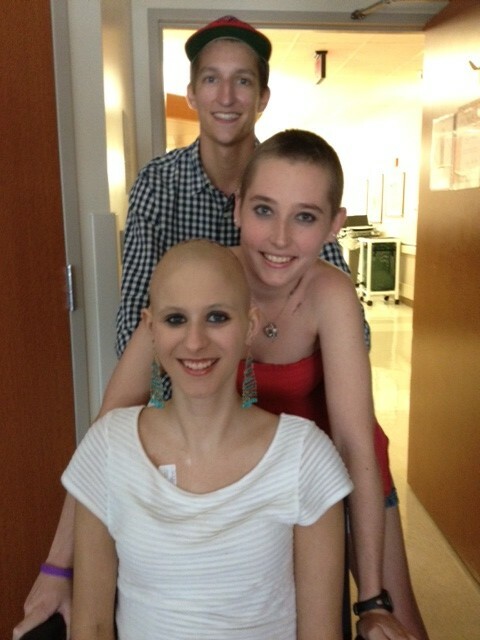 The way the three of them are with each other represents the very best of Team Summer – kids helping kids with cancer. Now it was Summer’s turn to lean into that support. Summer met Tyler through family connections. 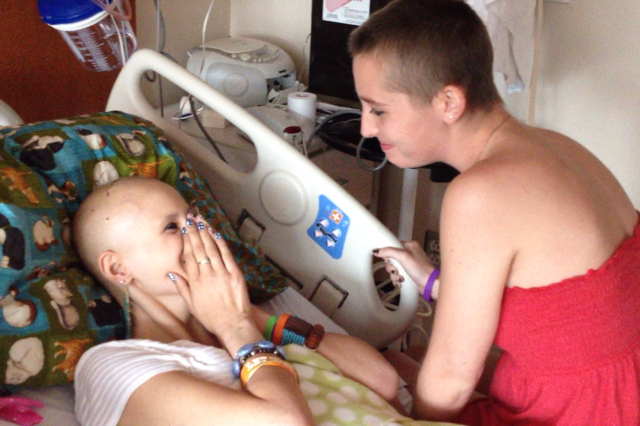 Summer met Lacey after a social worker at Children’s Healthcare of Atlanta told Summer that Lacey was depressed about losing her hair. Thanks to donations from people like you, Team Summer was able to gift to Lacey a fashion shoot, complete with a professional photographer and makeup artist. Perhaps you might remember this picture that came out of that shoot. Lacey is on the left, Summer is on the right. Lacey said the photo session changed the way she thought of herself. 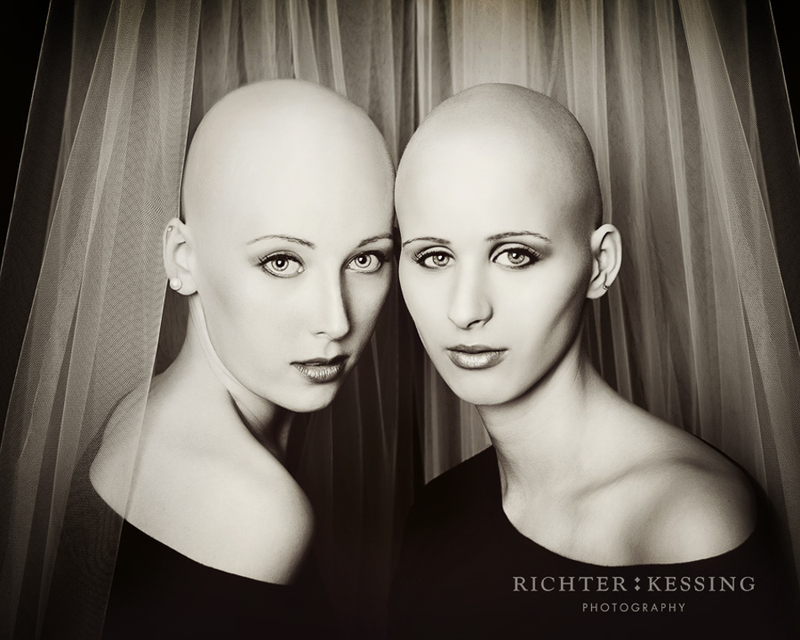 She could see that she was still pretty – with or without her hair. The effect their presence had on Summer’s recovery could not have been more dramatic. After some laughter and tears of joy, Summer declared that she was ready to be discharged from the hospital. Right then. Immediately. Remember, this is the girl who could not move her right leg and arm just a few days earlier. Still in pain from her lung surgery, she had stood for the first time only the day before. Even by Summer’s standards of rapid recovery, asking to be discharged from the hospital seemed like an incredible request. That said, everyone, including the medical staff at MD Anderson, could see the healing power her friends were having on her. Summer was lit up from the inside. 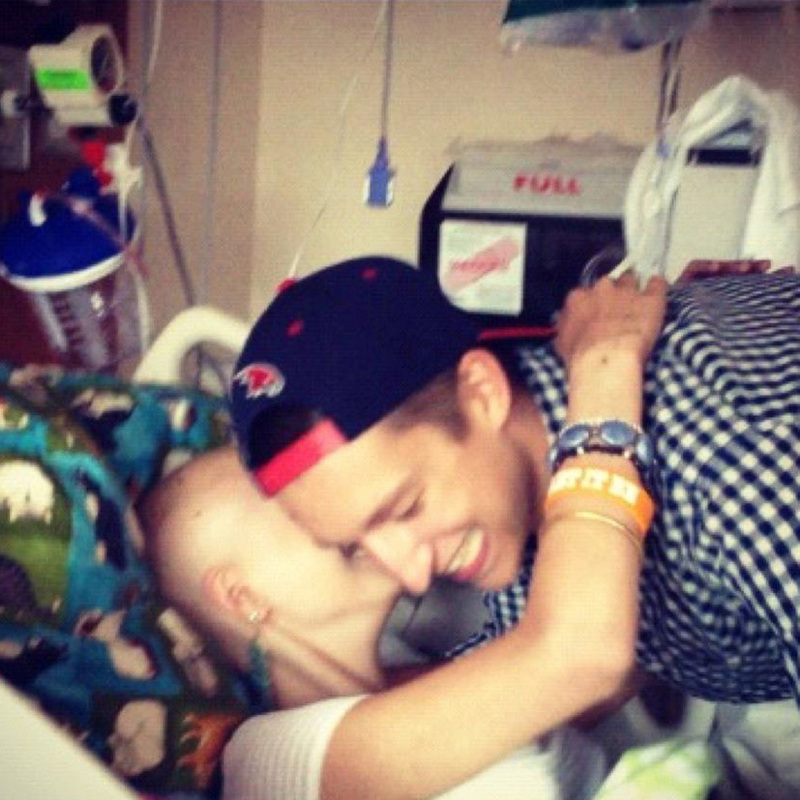 Truly, Lacey and Tyler were the best medicine of all. So Summer’s doctors approved her request to move back to our apartment in Houston. But first, Summer had to get into the minivan that would take her there. All of us were worried about how she could ever manage the step up. Much to our surprise, Summer climbed into her seat with ease. She was going home and a stair was not going to stop her. Instead of settling in for a long rest at the apartment after an exhausting day, the kids had another idea. They were going swimming! Within a half hour, the three of them were splashing in the apartment pool, the sounds of laughter betraying no hint of what each has endured this year. Three friends. Bonded for life. How lucky they are to have found each other. YOU three rock! You make the world a better place and I am glad to know your stories. True friends are so priceless! What a fabulous gift that Lacey and Tyler were able to give. This one made me cry! There is nothing more powerful than having friends that understand. Thanks Tyler and Lacey for taking such great care of our girl! This is a perfect story… The power of love is amazing!! !